GCSYSPK021 - This is a complete, pre-owned, Special Edition Pokemon XD Gamecube System package comes complete with all original Nintendo parts and equipment, not the knock-off after market accessories as you see others selling. 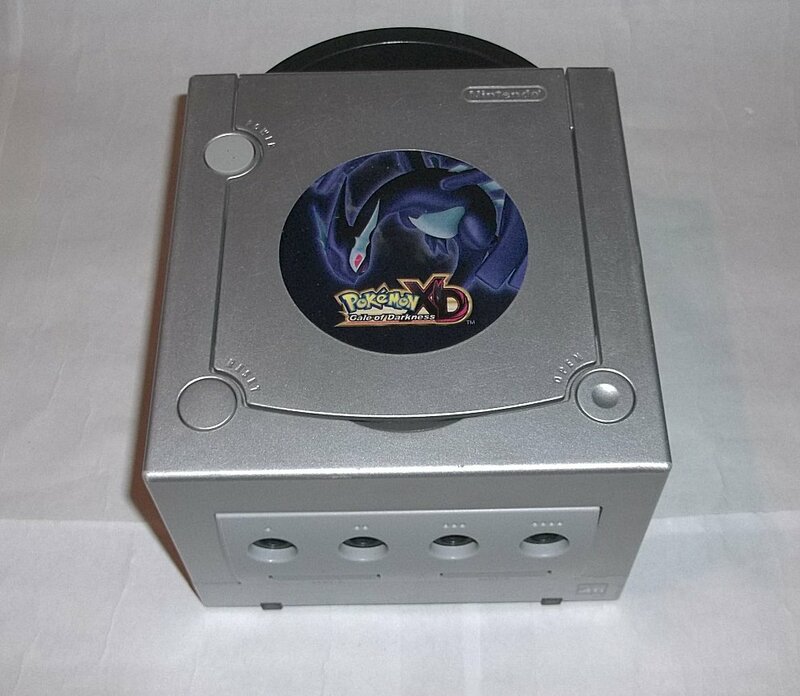 This includes the original Nintendo Pokemon XD Platinum Limited Edition Gamecube console, priginal Platinum controller, original Nintendo AV sterio connectors, original Nintendo AC power supply adapter, Original Nintendo Gamecube 251 Block Memory Card DOL-014, and the rare Super Classic and highly sought after gamecube game, "Pokemon XD: Gale of Darkness!" This brilliant and highly sought after game is on everyone's Top Ten gamecubes game's list! All items are in excellent condition esthetically, electronically and operationally. These systems all go through our thorough 39 points systems check and testing because they have to meet our quality standards before we'll sell them to you. Also erroneously called, Pokemon XP: Gale of Darkness. Pre-owned - Does not includes original packaging, manuals or boxes.